The simplicity of Genoa’s design is sure to go with any decor. The thermally fused high performance laminate is durable enough to last you for years to come. 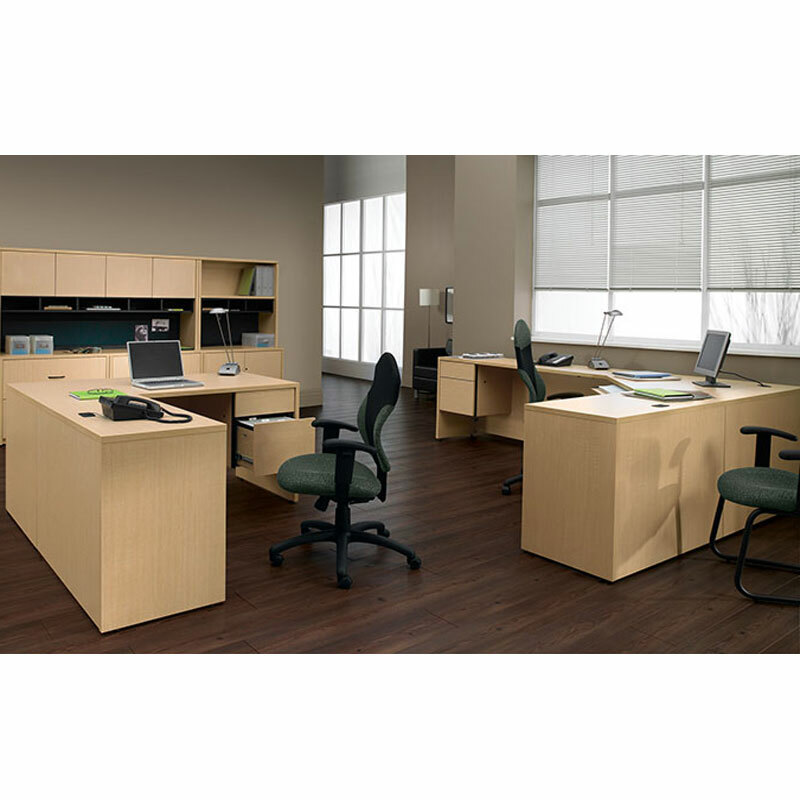 The two L-Shape desks, shown in Tiger Maple, are pictured with floating peds, a matching hutch and credenza set, as well as a storage cabinet and hutch.